"Gromm! Wise Dwarf of the mountain. Alas no more books will be written in his name. We brethren must go on without him and ensure his legacy of written texts will become his fame." The funeral of Gromm Brownbeard. A loved Dwarf, not only by his kin, but way beyond the borders of the Dwarven kingdom. Everyone who ever spoke with Gromm is invited to come to Kharuz-Korum to pay their respects. We shall carry his coffin through the echoing hearth and finally lay him to rest in the center of the library, among the books he loved so well. 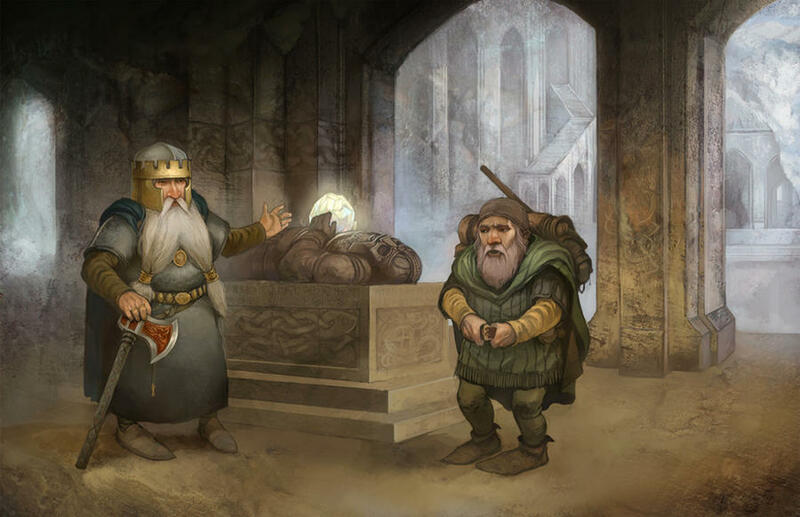 As is Dwarven custom with large events like this, you may bring a gift to lay with Gromm in the place where he will find his eternal days of rest. He shall surely be in the holy halls of Korog, smiling down on us, along with friends and former kin and kings. "Come inside, have a cup of tea!" I just wanted to point out that this runs at the exact same time that I set Citrines wedding. Cymic ain't plan on coming anyway? Thing is, if you don't put your event on the calendar when you make the thread, I can't see whether my event coincides with another. Or perhaps I looked wrong. Either way, we set this date cause most dwarves can make it, so I can't move it. Hope you have fun at your event! I set my event date and time and put it on the calendar on March 5th so idk how that got confused. I wasn’t asking you to move it I was just pointing out that there was an overlap. Man-- I got Gromm's skin ready. It ... really is rubbish on the timings since my IRL life has got morbid. But Gromm was happy when he died. I'll still be there =) No worries. 2,5 hours left before the event starts! I go into work right as this starts but cymic would totally attend. Can we say he was there IC? Thank you for showing up. It was a good event and some OOC banter and pvp fun afterwards is always something good to look back on! *As soon as the redstone torch touches the dust trail, hissing is heard. Alas no more books will be written in his name. And ensure his legacy of written texts will become his fame. Who gave rise to a new Dwarven Kingdom in the end? A scholar, a politician, about what shall we sing?